After a strong start to the season at places like Jackson Hole and Squaw Valley, the CBMST Freeride has kept the podiums in its sights with more top 10 results at A-Basin and Monarch regionals over the March 3-4 weekend and again at the Breckenridge National event this past weekend that replaced our snow-depleted venue at CBMR. Above Photo: The 15-18 Ski Men podium at Breckenridge featured CBMST members Marko Alling in 4th, Turner Petersen in 3rd, and Carson Hildebrandt in 2nd. 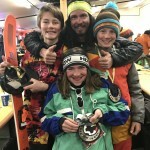 The CBMST sent a 23-strong contingent of athletes ranging from 8-16 in age to the first 2-day junior freeride event at Monarch after an inaugural 1 day event last year. With a day 1 venue of High Anxiety, athletes had to navigate moguls into a rocky area with some smaller rock options. The day 2 venue of Mirkwood offered a little steeper natural terrain to play with and the competition went well for most CBMST athletes. Coach Matt Evans with Carson Hildebrandt, Nate Ball, and Rowan Featherman (L to R) after taking some hardware at Monarch. 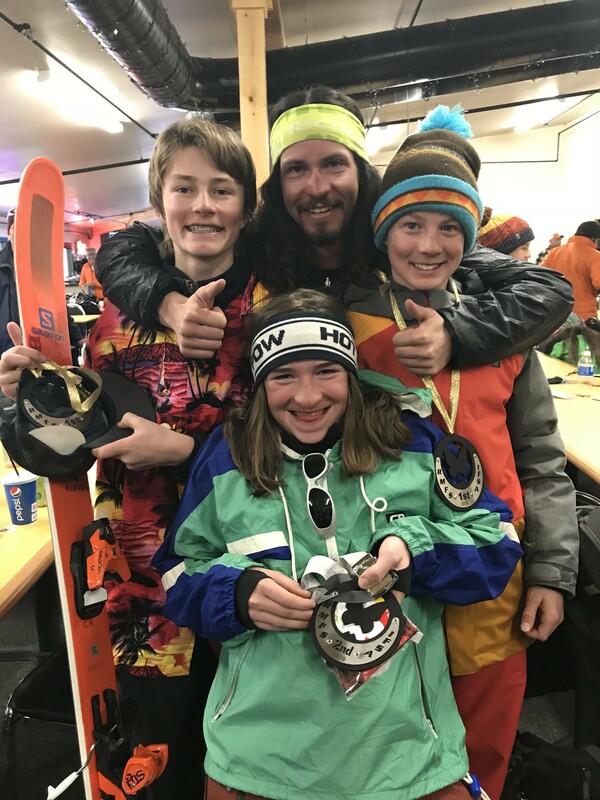 Asha Federico took 4th out of 12 in U12 girls Ski and had 5 in the top 8 out of 18 for U12 Skier boys with Liam Hadley in 8th, Sam Anderson in 6th, Fraser Birnie in 5th, Beckett Dickson in 3rd, and Eli Nolan in 2nd. In the 12-14 categories, Phaedra Vierling and Grace Haverkampf were able to take 3rd and 4th respectively, with Mia Haverkampf not far back in 8th out 12. The 30-strong 12-14 ski boys found 5 CBMST athletes in the top 10 led by Rowan Featherman in 1st, Nate Ball in 2nd, Cooper Wight in 5th, Owen Duffy in 8th, Nikolas Beukelman in 10th, and even Kai Greene not far back in 13th. Carson Hildebrandt took the victory in the 15-18 ski men division with 2 strong runs despite a lighter field of 12. That same Sunday the CBMST had 7 athletes competing at a regional at A-Basin. They had to default to their 3rd choice of venue, North Chute, but athletes were still able to put on a show. 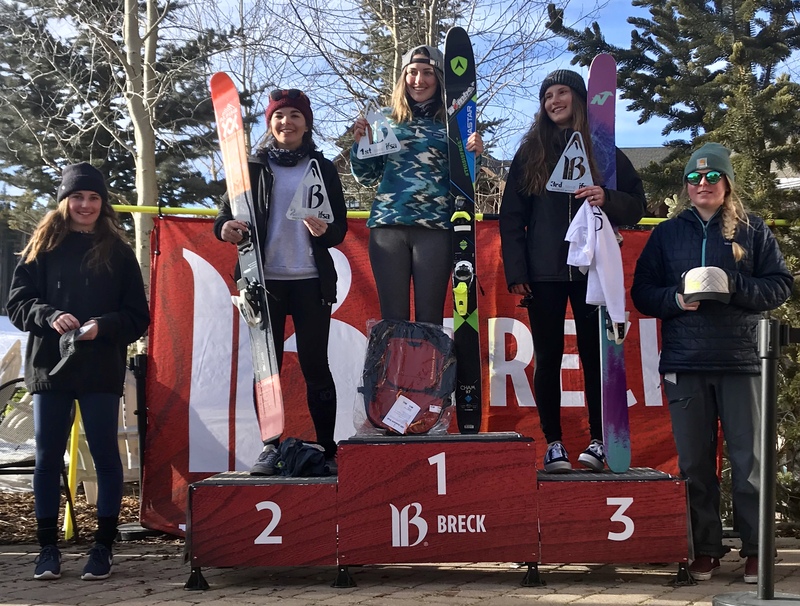 Ella Haverkampf found the podium in 2nd in the 12-14 ski girls out of 13 while her teammate Avery Bernholtz took the victory in the 15-18 ski women out of 10. The field of 29 15-18 ski men found 4 CBMST athletes in the top 7 led by Jon Clay Patterson in 2nd, Marko Alling in 5th, Turner Petersen in 6th, and Holden Bradford in 7th. 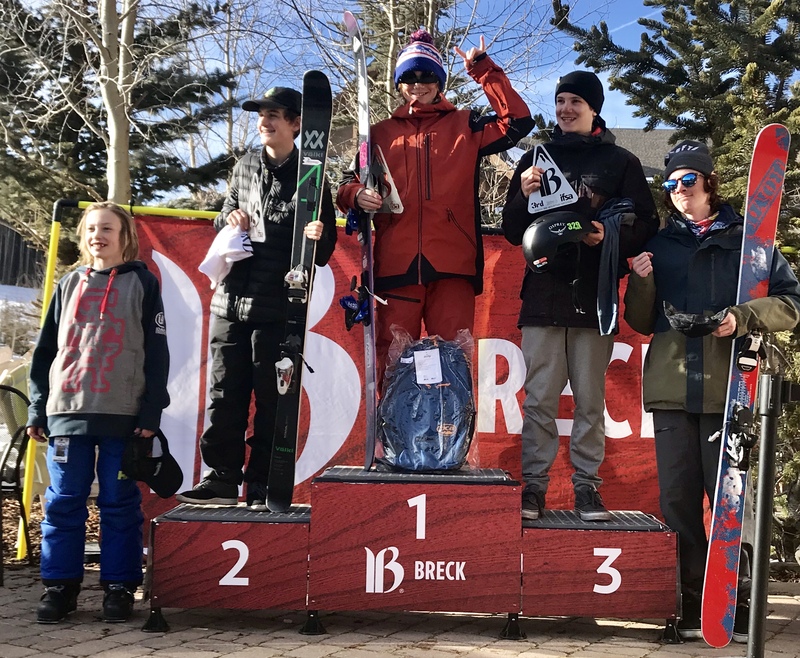 In 12-14 ski boys, the Hudson brothers, independents out of Crested Butte, continued their strong skiing with Brooks taking his second regional win after Aspen and younger Tor taking 9th, while CBMST’s Jacob Bernholtz was able to get a solid 15th in the field of 30. Locals Brooks Hudson in 1st and Gus Bullock in 4th on the 12-14 ski boys podium at Breckenridge. 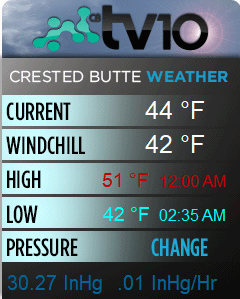 Just last weekend the Crested Butte National had to be moved to Breckenridge due to the low snow in our venues. Despite its reputation for flatness and lift lines, Breckenridge delivered with an awesome venue enhanced by a just-below-average snow year in the Six Senses off of the recently opened Peak 6 hike-to terrain. The venue expanded from lookers right to left during the two-run competition. 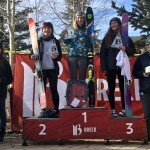 The 15-18 ski women division even had to throw down 2 runs on the finals day when their runs were cut out by low visibility at the end of Saturday. That didn’t stop Avery Bernholtz from taking 2nd place in that division after two blazing runs in completely different sections of the venue. Dagan Schwartz was able to move up from 4th to 2nd in a field of 12 15-18 Snowboarder men with a finals run in an area liked by many CBMST competitors in a venue that resembled a larger version Headwall. Avery Bernholtz in 2nd on the 15-18 Ski Women podium. 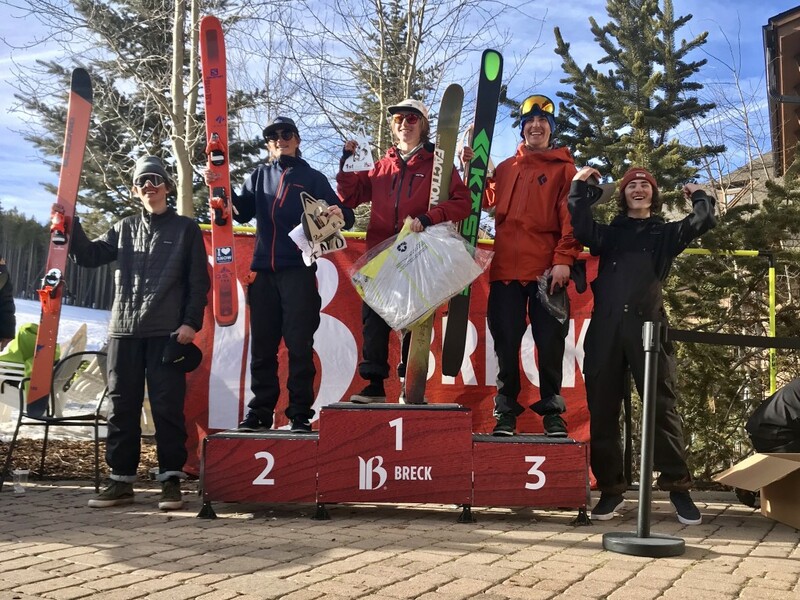 The male skiers found success on the steeper part of the expanded finals venue as well as Gus Bullock and Jacob Bernholtz were able to get 4th and 7th, respectively, while local independent shred brothers Brooks and Tor Hudson took 1st and 6th, respectively, out of a 48-deep field. The 15-18 ski men division had 3 CBMST athletes in the top 5 led by Carson Hildebrandt in 2nd with the strongest run in the finals, Turner Petersen in 3rd who capped his day 1 run with a stellar 3, and Marko Alling in 4th with two days of impressive skiing. Owen Berv had 2 runs displaying fast, consistent skiing for 16th while Holden Bradford was a little further back in 22nd in the field of 54. Athletes are looking to punch their ticket to NORAM Champs in April with strong results at remaining events at the Snowbird National this week and a Vail regional next weekend to finish the season. 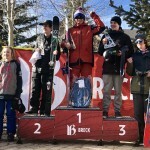 Looking at overall North American standings, Carson Hildebrandt, Jon Clay Patterson, Turner Petersen, and Marko Alling are all in the top 25 for 15-18 Ski Men while Avery Bernholtz and Dagan Schwartz are in 7th and 8th in their respective 15-18 Ski Women and 15-18 Snowboard Men divisions. Brooks Hudson is looking to build on his current 4th place ranking in 12-14 ski boys. With a few more strong results some other teammates can get closer to qualifying for champs so wish them luck in these weekends!